Hello, my name is Kendra (aka, Giggles). And I am addicted to sweet potatoes. With their lusciously caramelized and maple flavor, their slew of vitamin K, carotenoids, potassium and fiber, and their ease of preparation. 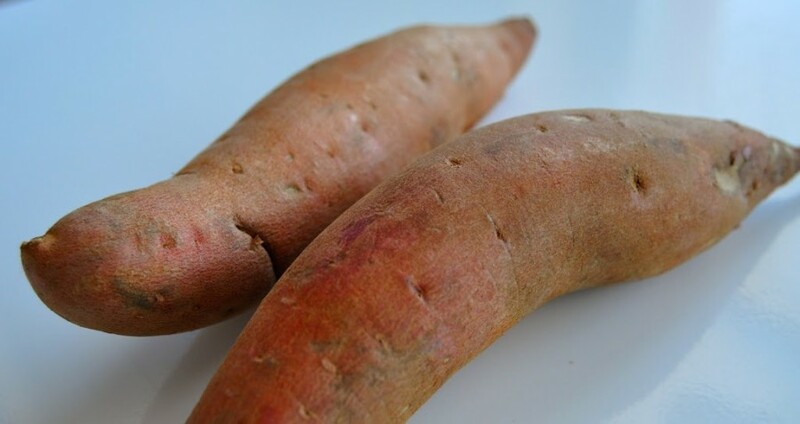 Seriously, this winter (and especially during my real food detox) I have found myself craving sweet potatoes almost daily. There are worse things, people! I could eat them in any preparation, sweet potato souffle, sweet potato soup, sweet potato fries, mashed sweet potatoes. But the easiest of all preparation is to simply peel, slice and roast. And the beauty is you can do a whole big bunch and they last the whole week! So, check out the giggliciously easy recipe below and join the other sweet potato addicts. We welcome you with open arms! Preheat oven to 350. Line two rimmed baking sheets with parchment paper. 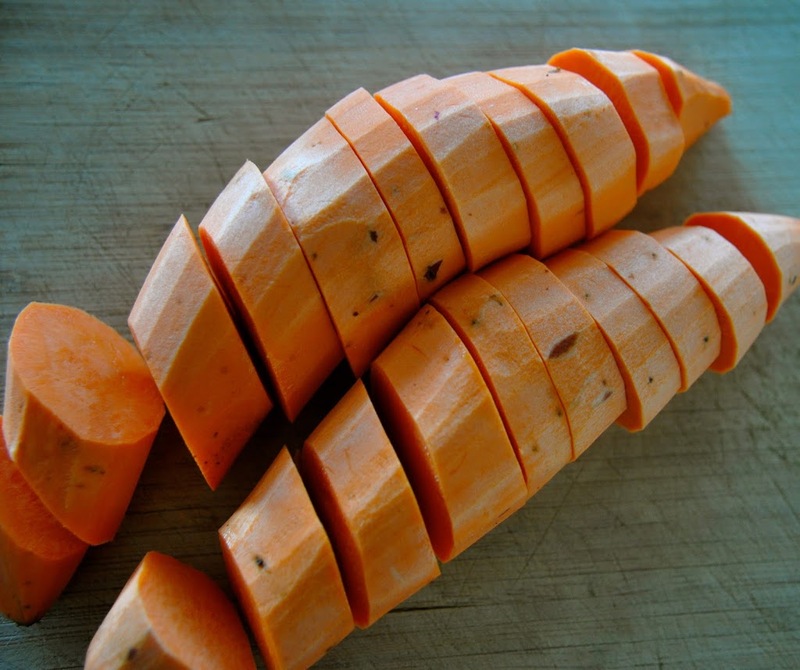 Slice sweet potatoes into 1 ½” rounds and place in large bowl. 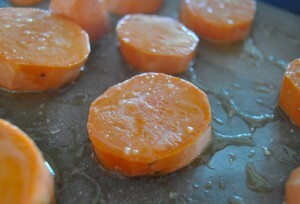 Toss with generous pour of olive oil and place on parchment paper, leaving space between each potato. Sprinkle with sea salt and place in the oven for 13 minutes. Turn potatoes over and rotate sheets. Continue baking another 13-15 minutes until lightly golden on the bottom.